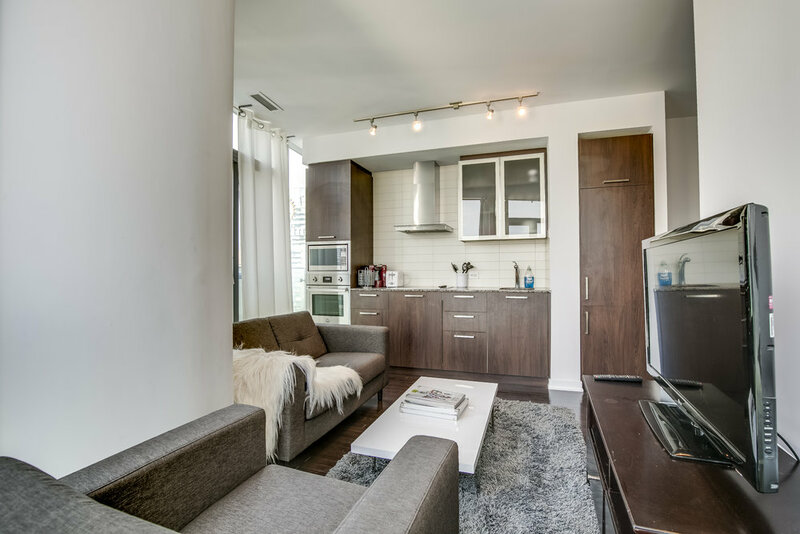 A Furnished Rental Suite in the heart of Toronto’s Financial District. Catering to Toronto’s working professionals and those wanting to experience the business lifestyle of Toronto. Short term rental available. Request The Financial District Executive Suite. 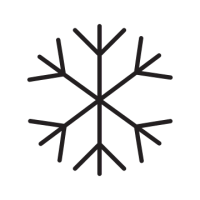 We will contact you shortly about next steps! 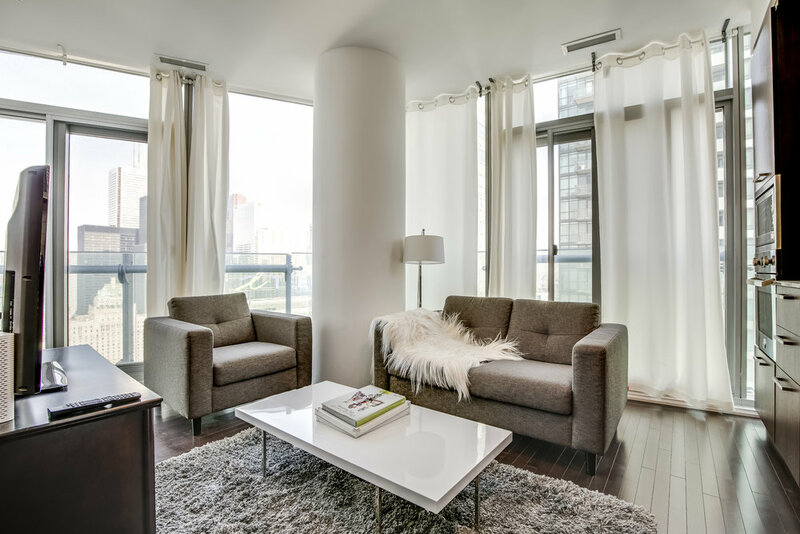 This icon of a suite, is located in the heart of one of Toronto’s most dynamic areas, the Financial District. An ideal place for business travelers, couples, and solo adventurers. Truly a unique suite. Welcome home to this contemporary yet luxury place to rest up. Location does not get any better. 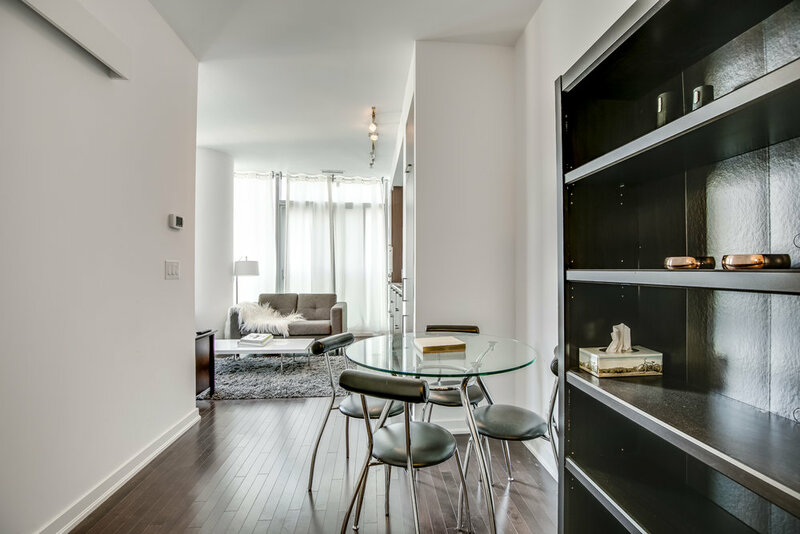 This beautiful furnished condo perfectly blends stunning architecture, refined service, and luxurious accommodations in the heart of Toronto’s vibrant downtown. 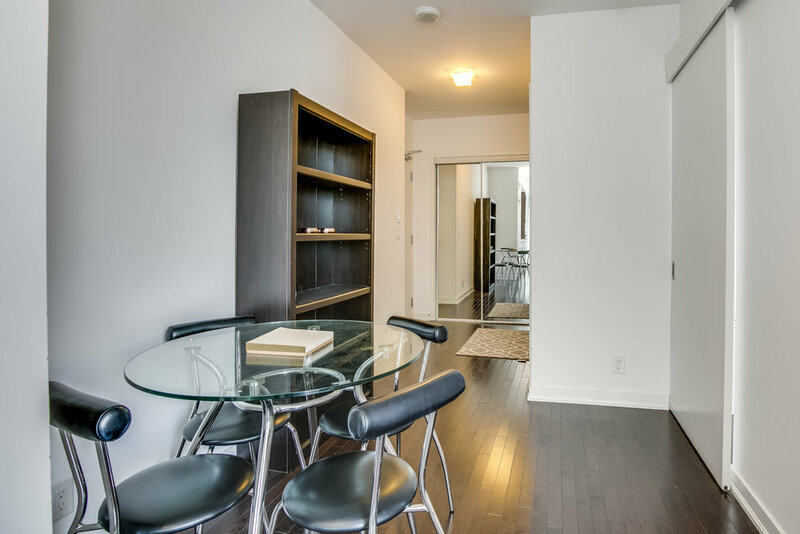 The suite features sleek hardwood floors through-out, a Queen size bed, a full ultra-modern kitchen with upgraded cabinets, and a full walkout balcony with a stunning view. 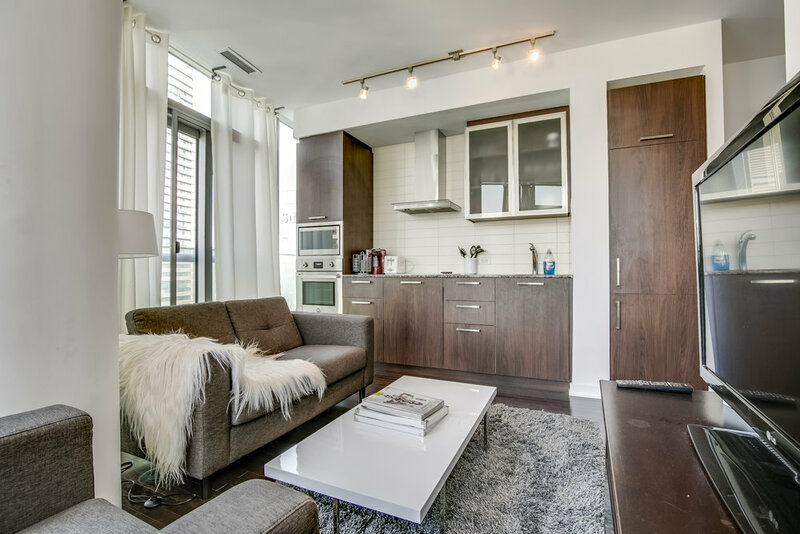 Whether you are from out of town, or a Toronto resident, experiencing the life in Toronto’s Financial District is a must. You will be living and breathing among iconic bars, restaurants and many more. Access to the underground PATH network is at your doorstep. Nightlife and entertainment are a few steps away as well. 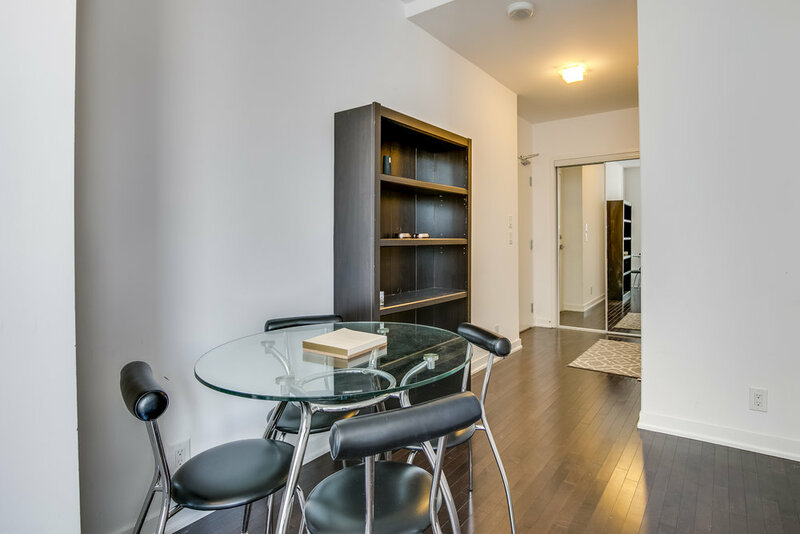 All this attributes shape this well rounded suite to serve your experience in Toronto. 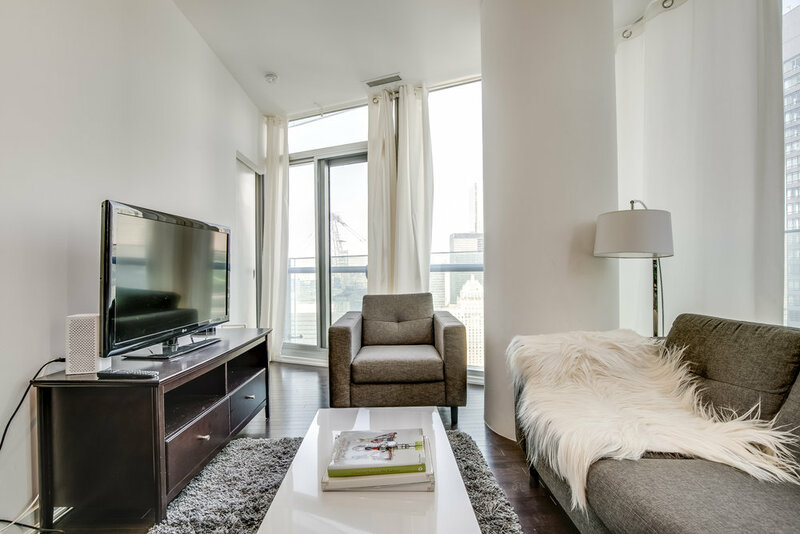 This elegant suite is part of our exclusive Downtown Furnished Apartments Toronto Collection. 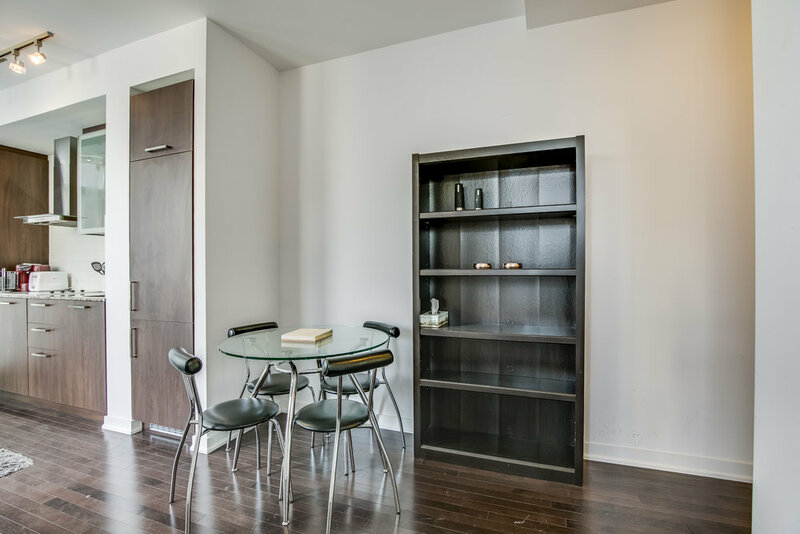 This Luxury brand new building is right in the core of downtown Toronto and positioned perfectly for you to get in a few steps to main shopping malls, Dundas square, Rogers centre and the CN tower. For those who prefer to sit on the sidelines to enjoy their sport, the Rogers Centre, Air Canada Centre and BMO stadium are just a short distance away. In need of some retail therapy? The boutiques along Queen West offer a plethora of styles to satisfy every fashion lover. And foodies will delight in many of Toronto's best restaurants, bars, lounges and clubs right across the street. 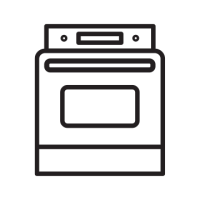 Request The Executive Condo and we will contact you shortly about next steps!